I'm using the jars to freeze my berries and getting rid of the plastic containers. Great buy!...These mason jars were perfect and just what I needed for my rustic theme wedding and for centerpieces. I sprayed painted them a matte white and they came out beautifully. Great product , great quality. The size is perfect it is just what I needed. Might I say that the pricing is more than fair. The seller shipped faster than promised. Hassle free purchase and fast shipping. Thank you! I definitely recommend this product !!! I made these beautiful table pieces for my girlfriend (my GodBaby) baby shower. They were a hit! My creativity juices were flowing. Tiffany Blue &amp; white were the theme colors. Arrived soon after ordering but two of the twelve were broken in many pieces and we had to be careful unpacking to avoid cut hands. These small jars are simply adorable. 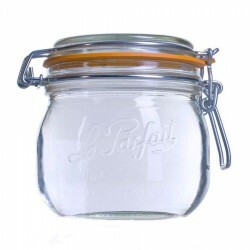 The perfect jar for aromatic essences or gourmet jams. The cut..